No Tricks, Just Treats! 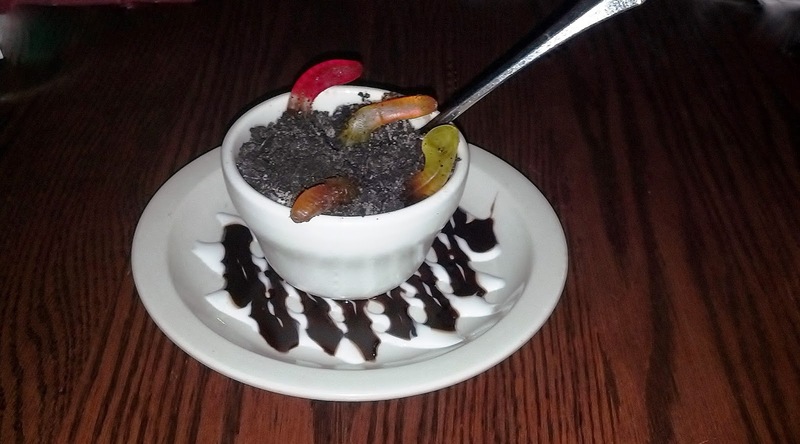 Celebrate Halloween with FREE dessert at The Red Coach Inn! If Halloween has you sweet tooth calling come trick or treat at The Red Coach Inn and enjoy one of our scrumptious Halloween inspired desserts. Our chefs have prepared a special dessert just for the occasion. 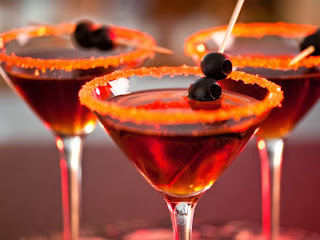 Just say "Trick or Treat" to you server to claim your free sweet treat! Offer is only valid on Halloween (October 31st, 2013) with the purchase of entree. Limit 1 per entree. 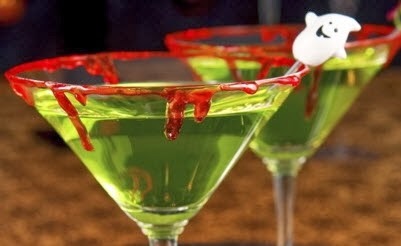 Also don't forget to try one our Halloween Spooktails! 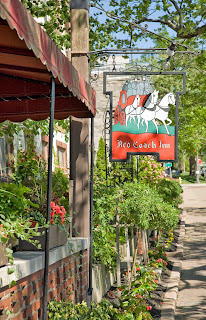 Here at the Red Coach Inn we have a remarkable staff, some that have been with us over a decade! Each member of our team strives to ensure every guest has an exceptional stay. During your time at the Red Coach Inn we hope you get the chance to meet as many of our staff members as possible, but just in case you missed someone, we're going to give you the opportunity to meet a new staff member each month in our Blog's Meet the Staff post! This week's featured staff member is Jeffrey Anaclerio! Jeffrey in one our Front Desk Associates and has been with us since February 2013. 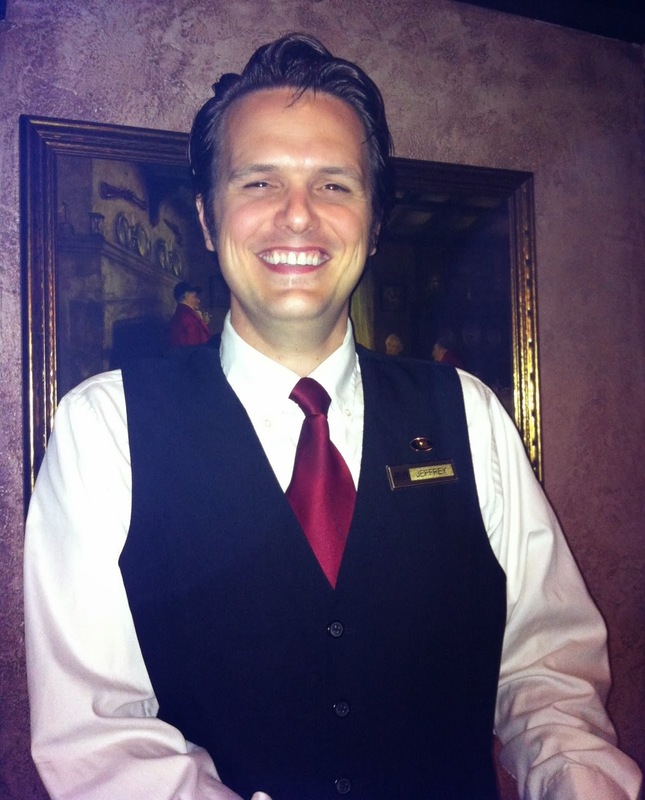 Jeffrey is most likely one of the first faces you see when you walk into the Red Coach Inn. If you could be trade places with anyone who would it be? Samantha Brown from the Travel Channel, because she get to experience the world's best resorts and gets paid to do it! With temperatures dipping into the 40s this week we hope everyone is staying warm and enjoying the fall weather and activities. 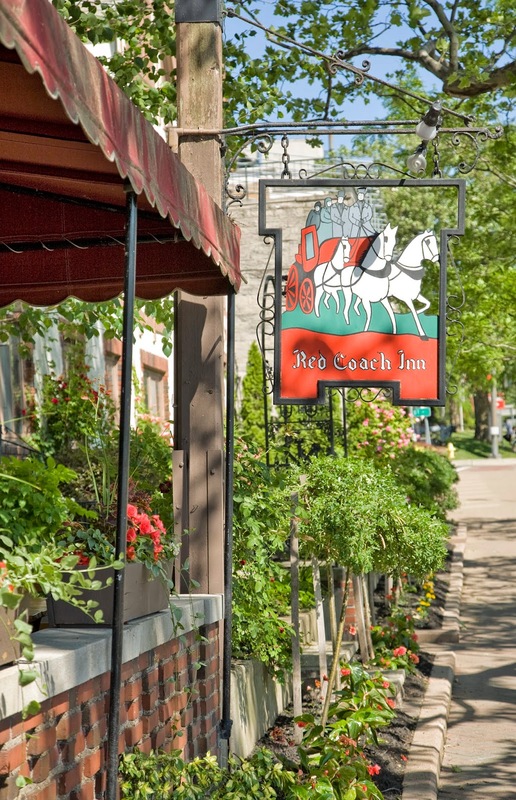 It's a perfect time to stay at the Red Coach Inn and don't forget to ask about one of our suites with in room fireplace! Enjoy a bit of Western New York culture in every bite at this week's Local Restaurant Week. Participating Restaurants are offering a select menu for the price of $20.13 per person. This is a great and inexpensive way to try some of the great New York Cuisine. Don't forget to stop into the Red Coach Inn and choose an appetizer and entree. 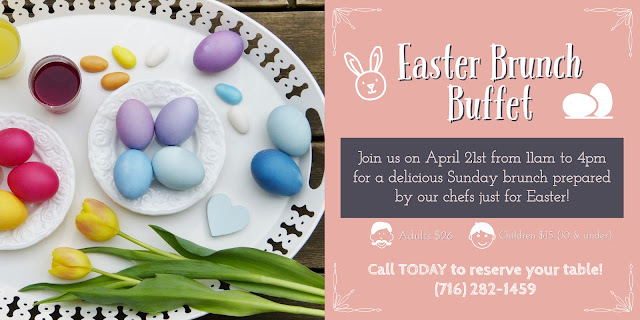 CLICK HERE to view the menu! One of Old Falls Street's most popular family events, this "monster-size" Halloween party allows costumed children to enjoy a spooky breakfast buffet, costume parade, age-appropriate haunted house, bounce house, arts and crafts, music, games, prizes and many more surprises! Tickets will be available at door, but reservations are highly recommended at (716) 278-2100. Adults- $9, Seniors - $8, and Children (12 and under) $6. Enjoy fall fun at Becker Farm's Pumpkin Fiesta. This is a terrific way to celebrate the harvest season! The Fiesta is every Saturday and Sunday through the end of October, and features fun family activities that kids will remember and want to return year after year. Enjoy free live music, wine and beer tastings, as well as food from the Frier and the Cantina. Other activities include pony rides, duck races, hay rides through the forest, and a castle labyrinth that will keep you guessing which way is out! For more information CLICK HERE. And when your done at Becker Farm's head over to the Red Coach Inn and try one of our Pumpkin themed dessert specials! As the temperature starts to drop it's a great time to embrace the scary and creepy! Whether you're just out to have fun or are looking to experience something paranormal, Lewiston's Marble Orchard Ghost Walks are one of the most popular autumn tourist destinations. During the 1 and 1/2 hour walk a cast of 11 ghosts share ghost stories and myths from their time period. Admission is $15 and the tour starts at 7:00 pm. For more information CLICK HERE. This Week's Dinner Specials for Local Restaurant Week 2013! This weeks as part of Western New York's Local Restaurant Week we are offering a special menu. Choose one appetizer and one entree for $20.13! Uncle Dingaling has the Cheesiest show on earth. This circus travels from town to town, in the old tradition. It is unfortunate that the acts do not match the tradition. In fact, as the group made its annual trek to Aragain, a premier stop on their circuit, they were met with resistance from all quarters. The performers were only going through the motions. The townspeople were less than hospitable. Most egregious, best circus around, Dewey, Cheetum and Howe, were attempting a hostile takeover. Opening night, with a very sparse crowd, was in full swing. Acts filled all three rings. The sideshows were waiting their turn. Buck Shott, the Human Cannonball was launched, landed in his net, but did not jump up to take his bow. To everyone?s horror, Buck Shott would fire no more. . . .
Eveningside: Ringmaster: Uncle Dingaling: Owner of the Circus. Would he want to harm an act that draws crowds? Freedom Run: Tax collector Dudley (Doody) Levee: This Aragain Native wants to make certain the town gets everything coming to it. Why does he hate Buck Shott? After all, he's only in town once a year. Leonard Oakes: Mayor Clinta Westwood: Every year when the circus comes, her campaign coffers grow. What did Buck know about her? Niagara Landing: Trapeze artist Callie S?thenics: Talk about a frustrated gymnast. She is constantly coming up with new ideas and new tricks. Too bad the human body can?t move the way she wants. She drives the other trapeze artists crazy. Chateau Niagara: Ticket seller Goldie Price: She sells lots of tickets. She's one of the best barkers around. You assume she?s as honest as the day is long, but is she? Schulze: Horse rider Merry Mustang: Always wants more horses, fancier costumers for them. Victorianbourg: Dog Trainer Kay Nein: She is a great PR person. She takes her dogs to perform everywhere you ask schools, fairs. You heard a rumor she got paid for those gigs on the side, but she wouldn?t double dip, would she? Spring Lake: Landowner Essie Tate: The circus is held on her land, for a fee of course. What does she know about Buck. Honeymoon Trail: Booking Agent Redd Scent: Handles all the arrangements for moving the show around. Finds new locations sometimes, negotiates the contracts, knows who to finesse. All for a fee, of course. Marjim Manor: Band Member Yul PHonium: At the last stop, the band riser collapsed injuring a couple of band members. Luckily, Yul was at the performance and was able to audition and fill in right away. For a classical performer, she knows lots of circus style music. Vizcarra: Elephant trainer Packy Derm; Thinks the elephants are the cornerstone of the circus the main act people come to see. Wants money for more costumes, better feed. their favorite thing to do is leave to join Dewey Cheatem and Howe where they'll be appreciated. Long Cliff: Building Inspector: Arky Tecture: This building inspector pays attention to minute details. What did he notice about Buck? Blackbird: Janitor Connie Searge : Been with you about a year. Does her job well. Everything is always sparkling and shiny. But she does turn up in odd spots. Lake Ontario Winery: Hermie Tage, the Tent installer. Tickets are valid for all three days of the event and include a tasting of 3 wines at each participating winery, a commemorative wine glass from your starting winery, and information to solve the crime. Tickets are $30 in advance and $35 at the door. CLICK HERE to purchase tickets. Tickets do not include transportation. The wine trail is self-guided. A valid photo ID with proof of age is required to participate in wine tastings. Please have your ID ready upon arrival. Whether you are a first-timer or a seasoned regular you don't want to miss out this week's scrumptious dinner entrees! In celebration of this year's Oktoberfest we will also be serving lunch specials on Saturday and Sunday! And if your sweet tooth start aching we will be featuring Pumpkin Walnut Crunch and Pumpkin Cake for this weekends Fall Dessert Specials! Fall is in full swing here in Niagara Falls! The weather is beautiful and the leaves have changed to shades of yellow, orange and red! We hope you are able to make it out and enjoy some of the fun fall activities happening in the area! The Niagara Falls Culinary Institute will be offering fundamental cooking classes to the public this Thursday, Friday and Saturday from 6:00 pm - 9:00 pm. Classes range from $40 to $50 and each class offers different cooking techniques and menu options. This week's classes include how to make every day sauces, traditional Mexican food, as well as Grilled NY Strip Steak and Salmon cakes! For more information CLICK HERE. Raise your beer stein high and give "Prost" to Old Falls Street's 4th Annual Oktoberfest featuring live entertainment by the Bergholz German Band, the Edelweiss Dancers, and many more! The day kicks off at 1:00pm with the traditional Tapping of the Keg. 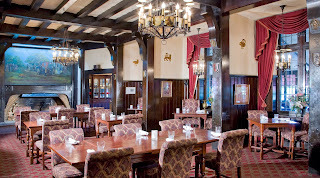 You can enjoy authentic German cuisine, and beer and wine! Children will love the Kidtoberfest zone, complete with petting zoo, bounce house, art and crafts as well as snacks! For more information CLICK HERE. Enjoy fall fun at Becker Farm's Pumpkin Fiesta. This is a terrific way to celebrate the harvest season! The Fiesta is every Saturday and Sunday through the end of October, and features fun family activities that kids will remember and want to return year after year. Enjoy free live music, wine and beer tastings, as well as food from the Frier and the Cantina. Other activities include pony rides, duck races, hay rides through the forest, and a castle labyrinth that will keep you guessing which way is out! For more information CLICK HERE. 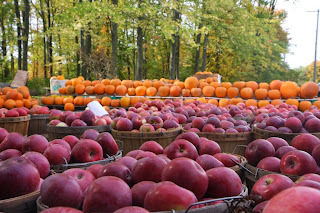 You don't have to go far for some fall fun! Come by the Herschell Carrousel Factory Museum for some old-time fair activities or try your hand at popular midway games. You can also make some fair-themed crafts to take home. 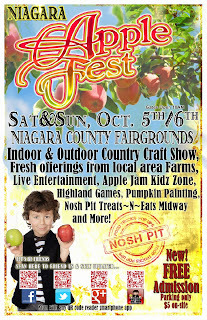 The Fall Fair is included with the paid admission; $6 adults, $5 seniors, and $3 children ages 2-16. For more information CLICK HERE. The leaves are starting to turn here in Niagara Falls, and we hope that you get the chance to come and enjoy the beauty of the changing seasons. 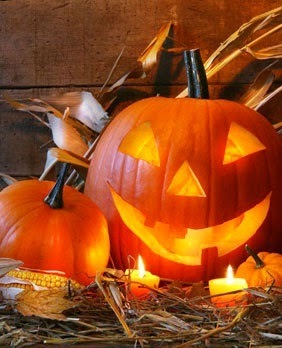 It's a wonderful time of year to visit The Red Coach Inn and try one of our delicious pumpkin inspired dessert dishes. The Niagara Falls Culinary Institute will be offering fundamental cooking classes to the public this Thursday, Friday, and Saturday from 6:00pm - 9:00pm. Classes range from $40 to $50 and different cooking techniques and menu options. This week's classes include Searing, Sauteing, and Pan Frying, as well as how to cook Authentic Italian! For more information on each class CLICK HERE. Did you know there are so many different kinds of apples, that if you at a different on each day it would take more than 20 years to try them all? There are over 7500 different varieties of apples in the world and the Niagara Apple Festival is a great way to try the difference! Most vendors bring not only different types to try, but they also bring amazing apple desserts including apple pie, apple strudel, Carmel apples, and much much more! Enjoy activities, live entertainment, and a craft show from 10:00am to 5:00pm. 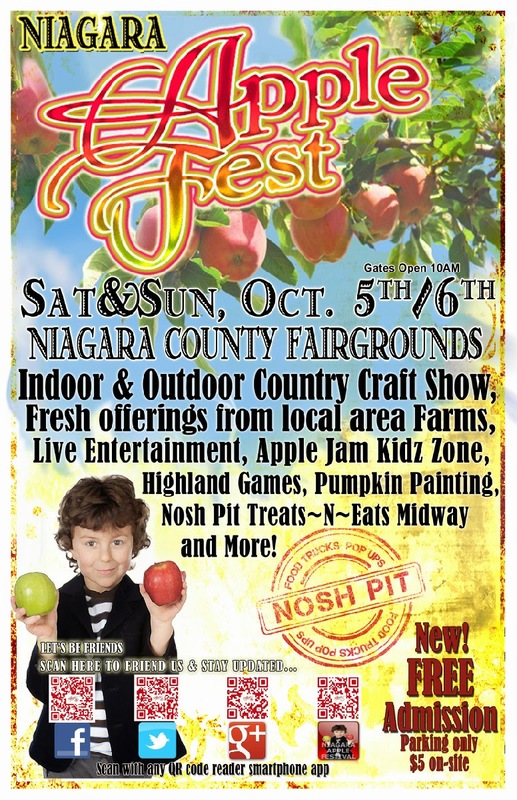 For more information on the Niagara Apple Festival CLICK HERE. As the temperature starts to drop it's a great time to embrace the scary and creepy! Whether you're just out to have fun or experience something paranormal, Lewiston's Marble Orchard Ghost Walks are one of the most popular autumn tourist destinations. 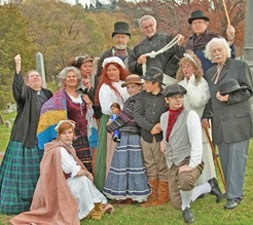 During 1 and 1/2 hour walk a cast of 11 ghosts share ghost stories and myths from their time period. Admission is $15 and the tour starts at 7:00pm. For more information CLICK HERE.